We now support Chromecast, allowing you to cast content to any TV from your phone or tablet. Control playback from anywhere in your house, and enjoy a beautiful display of album art on your big screen. You can cast songs, albums, stations and playlists to your TV – just hit the cast icon in the Rdio iOS, Android or web apps. Rdio on Google Chromecast marks another milestone in Rdio’s commitment to delivering the best music experience everywhere. 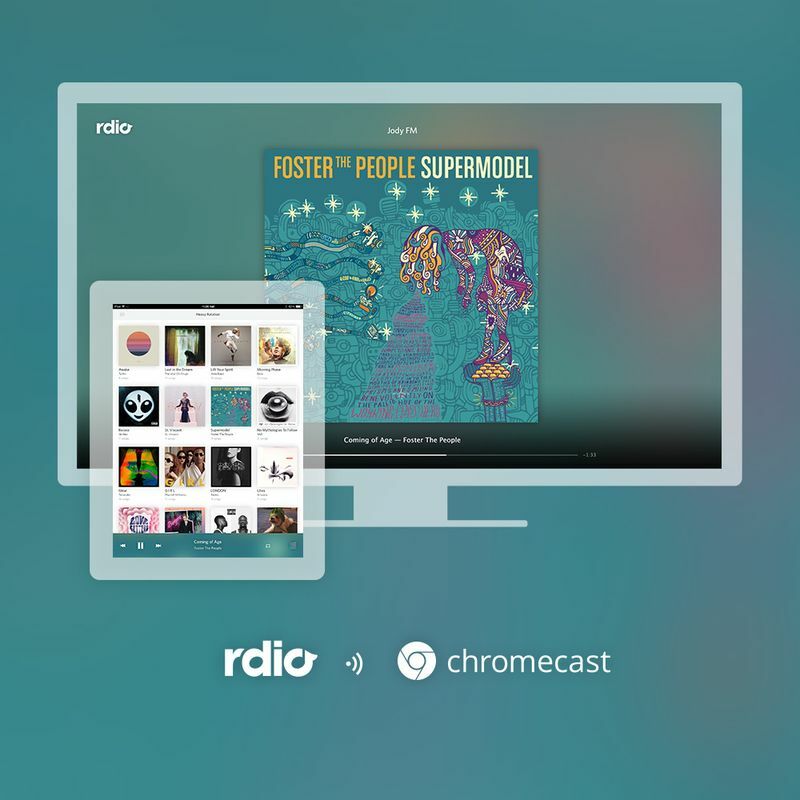 Music fans can access Rdio’s massive catalog of over 20 million songs or start a station easily, all from Chromecast on their TV. And if you check out album headers in Rdio 2.5.8, you’ll notice a dynamically chosen color, automatically generated to complement each album’s artwork – similar to artist pages on the iTunes Store. The previous Rdio update has brought the ability to read and write reviews in-app and edit your playlists. In December, Rdio picked up an all-new Profile view and a new Sleep Timer function, which allows you to stop music playback after a period of time. And speaking of Chromecast, Sony’s Crackle app and the video streaming service Vudu’s iOS client have both added Chromecast support earlier today. By the way, you can stream comedian Jerry Seinfield’s ‘Comedians in Cars Getting Coffee’ for free through Crackle, plus many more movies and television shows hosted on the service. As for Vudu, check out their blog post for more information on enabling Chromecast in the latest Vudu Player for the iPhone and iPad. 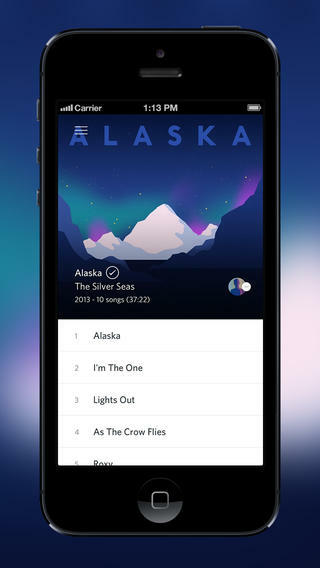 Download Rdio free in the App Store. The universal app requires an iOS device running iOS 6.0 or later and a paid Rdio subscription, starting at $9.99 per month for unlimited streaming on mobile ($4.99 for web-only streaming).